What Should I Do If I am in a Crash Caused by a Drunk Driver? Here’s what you should do if you are involved in a car accident and suspect that the other driver was under the influence. If you suspect drunk driving caused the crash, your first step should be to call 911. A police response means that a trained investigator will be able to examine the other driver. If he or she tests positive with law enforcement, not only does it help your legal case later, but you are helping to take a dangerous driver off the road. While you wait for the authorities to arrive, keep your eyes open. You can even use your smartphone to take pictures or video of the scene, but only if it is safe for you to do so—and rarely approach an obviously intoxicated driver. If you see any open alcohol containers or drug paraphernalia, report it to the police. Report the use of mouthwash, breath spray, or eye drops immediately after the accident as well since the driver could be attempting to conceal intoxication. Another common tactic is for a drunk driver to switch seats with someone else in the car. If you notice a seat swap, tell the police what you saw, as it could lead to serious charges. 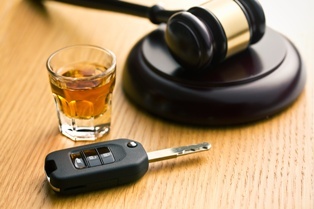 After the crash, you may consider contacting a personal injury attorney who helps DUI victims. Your attorney will know how to effectively investigate a DUI crash, press a claim against the insurance company, and take your case to court if a fair settlement cannot be reached. For more information about car accidents and DUI crashes in South Carolina, please download our e-book, “Safety First, Justice Always: Your Guide to South Carolina Auto Accident Law.” This short, informative book is an invaluable resource for those who have more questions about car accidents here in our state, and is completely free. If you have been hurt in an accident caused by a drunk driver, please know that our entire team at the Law Office of Kenneth E. Berger will do everything in our power to hold that reckless person accountable and obtain justice on your behalf. We proudly serve clients from Columbia, Lexington, Greenville, Charleston, Myrtle Beach, and other areas. Call us by phone, use our contact form to send an email, or click the live chat box on this page now to arrange a free consultation with us today.